Investors in Big C (BIGC.BK), one of Thailand's largest supermarket chains, cheered on Monday an up to $3.5 billion deal by France's Casino Group (CASP.PA) to sell its majority holding to TCC Group, owned by whiskey tycoon Charoen Sirivadhanabhakdi. Shares in Big C Supercenter hit a 13-month high of 251 baht on Monday, just below the offer price of 252.88 baht ($7.1), and jumped more than 9 percent in an otherwise muted market. 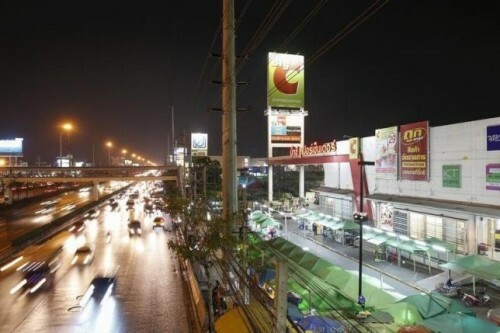 If the deal completes, Big C will hand TCC Thailand's second-largest hypermarket operator after the Thai unit of Tesco PLC (TSCO.L). TCC, which owns the maker of Chang Beer among other assets, outbid Thailand's biggest retailer Central Group to push into a retail sector that is expanding along with the number of middle class consumers. Central founded Big C in 1993 and sold a controlling stake to Casino in 1999, but still owns 25 percent of the shares and had been seen as a frontrunner in the sale. One source with direct knowledge of the deal said Central, controlled by the Chirathivat family, was not expected to make a counter bid. Another source, however, cautioned that Central had yet to take a final decision on the future of its stake. Central declined to comment on the matter. "Looking at the agreement they signed, the deal is nearly completed. I don't think there will be any change," said Suttatip Perasub, analyst at Maybank Kim Eng Securities. "It is major step for TCC to expand into the retail business." TCC owns assets ranging from brewer Thai Bev (TBEV.SI) to property development firms. It agreed to buy German retailer Metro's Vietnam unit last year, but has no retail presence in Thailand. Shares in Berli Jucker Public Co (BJC.BK), the flagship company in Charoen's consumer product business were up 15 percent on Monday. Ending its Thai foray, Casino announced on Sunday it would sell its 58.6 percent of Big C to TCC at 252.88 baht per share, a 28 percent premium to Big C's share price when the stake sale plan was announced on Jan. 14. UBS analyst said that offer price implied an 2016 EV/EBITDA multiple of 15 times - above the 9 times level at which Tesco (TSCO.L) sold its operations in Korea last year, but lower than the 34 times TCC paid for Metro Vietnam. Casino is also in the process of selling its wholly owned unit Big C Vietnam, which bankers have valued at between $800 million and $1 billion. Berli Jucker has said it is keen to buy the Vietnam unit.